The Hotel offers 24-hour front desk staff, a business center, restaurant, fitness center, complimentary local phone calls up to 30 minutes, and free wireless internet access throughout the Hotel. 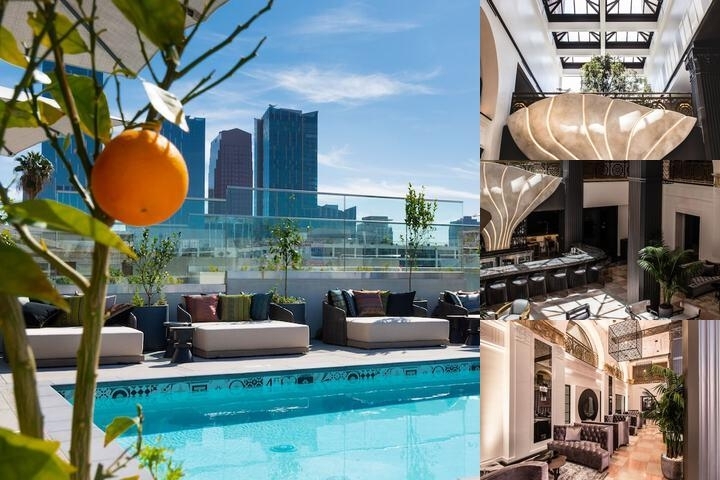 Its prime location is just a few blocks from the Los Angeles Convention Center, Staples Center, LA Fashion District, Financial District, and Jewelry District. Famous attractions such as Universal Studios Hollywood, the Getty Museum, Beverly Hills, and Santa Monica are nearby. Disneyland & Knott's Berry Farm are a 30-minute drive away." Built during a period of opulence in the Roaring 20's, The Mayfair Hotel in Los Angeles played host to rambunctious flapper girls and indulgent oil barons alike. Through this charismatic energy, The Mayfair Hotel has evolved into a contemporary institution with modern amenities and a twist of historic charm. Thirty days prior to the arrival. If the cancellation occurs less than thirty days out, one night's room & tax will be charged. Los Angeles International Airport (LAX) or Burbank International Airport (BUR) are approximately 15 miles away. The Mayfair Hotel offers complimentary High Speed Wifi in all guest rooms and public areas. 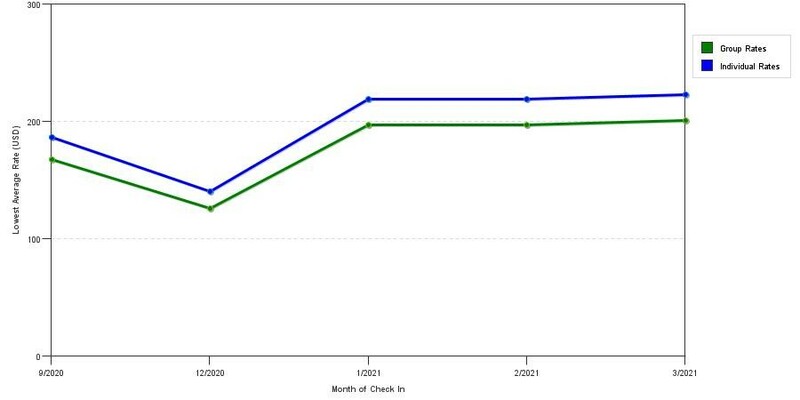 This graph illustrates averages of sleeping room prices for both our group prices and the most competitive individual traveler rates our rate checker could find at the time the group/meeting offer was submitted. The best group/meeting discount shown is 16.9% in February 2018 and the highest average individual rate is $211 in the month of June 2018. This chart will show past seasonality and also project future months. If you are flexible with dates, you may want to consider staying at Mayfair Hotel in a month when rates are lower.